Most people visit the gym to get in shape and be healthier, not because they love to exercise. As a result, we often head toward the machines or the weights to make every second count, feeling the burn and maximizing our time there. Or so we think. However hitting the weights and machines could be a shoulder injury waiting to happen says Dr. Jennifer Penrose of Penrose & Associates Physical Therapy. Among the worst workouts for your shoulders, especially the rotator cuff, are front and lateral raises. When your arms are stretched out or up, holding a weight away from your body, the amount of torque on your shoulder is great, says Penrose. If you don’t have great stability and strength in your rotator cuff, you can set yourself up for an injury. “If I could take these exercises away from people, I would,” she adds. Especially with heavy weights. One common mistake is failing to take the time to warm-up before a strenuous work-out. “Many of us sit all day at a desk, and as a result our shoulders are tight from sitting hunched and rounded. Then we go to the gym and do these overhead lifts or lifts with the arms extended and reaching back without warming up or stretching. Our shoulders do not have the range of motion or flexibility we are demanding with some of the lifts we attempt at the gym” says Penrose. Many of the injuries she sees are related to lack of flexibility and lack of time spent on range of motion in patients’ shoulders. 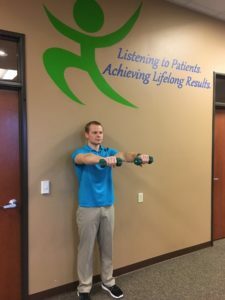 “I get people in here all the time with shoulder injuries where they are trying to do the right thing, they are trying to get in shape and workout, or they are trying to take it to the next level and do CrossFit. Instead, they end up with an injury,” she says. If you still want to lift weights, Penrose suggests using a split stance and then sinking down into a lunge position. From there, take a free weight or cable with both hands, and take it down toward your leg and then sweep across and up. Complete several repetitions. It’s another full body workout that is safer for your shoulders. Rotator cuff injuries are no joke. If you tear your rotator cuff, you will need surgery and several months of physical therapy. Even just a strain can take months to heal with a physical therapist’s help. You can get a great shoulder workout with these safer exercises that won’t be as likely to cause injury. 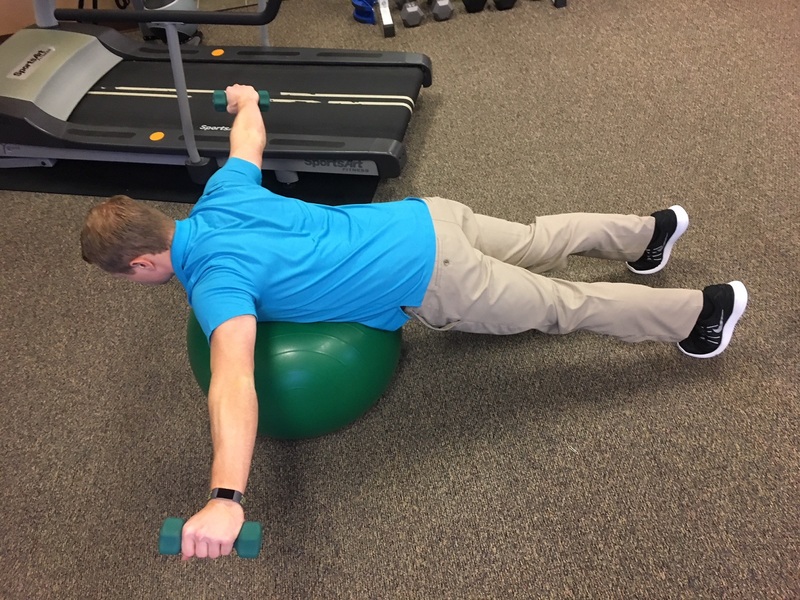 If you have not worked out in several months or years it is wise to get a flexibility and strength assessment and figure out what your impairments are so you can safely address them and work out without causing an injury. If your goal is to do CrossFit then make sure you work on your flexibility and form with lifts. To learn more about safe options for at-home or in the gym exercise and other treatments available, visit Penrose & Associates Physical Therapy online or call them at 360-456-1444.